The criminal justice system can be frightening and intimidating. When people are charged with crimes that can affect both them and their families for the rest of their lives, it’s important to have lawyers who can help explain the process, navigate the system and protect their clients’ rights. Our attorneys use their knowledge and experience to aggressively defend clients charged with violating the law. Our practice is comprised of trial lawyers who have an in-depth familiarity with Arizona's criminal justice systems. We apply our understanding of the prosecution’s tactics and the functions of courts, judges and juries to effectively represent our clients in criminal proceedings. We are experienced in all types of misdemeanors and felonies, whether that be DUI (regular, extreme, super extreme or aggravated), traffic offenses, white collar crimes, probation violations, theft, drug crimes, criminal appeals, internet crimes, domestic violence, assault or other violent crimes. From the first stage of our representation, we engage in frequent interaction with the client because we believe it leads to the best possible results. Our clients are active participants in their own cases and we strive to learn as much as we can about them. With this knowledge, we identify character witnesses and use mental health assessments and employment history where appropriate, all of which help us to portray each client as an individual. Especially if the client is convicted, these and other mitigating factors can later aid our attorneys in presenting sentencing alternatives, including treatment and rehabilitation options. While we are skilled courtroom advocates on behalf of our clients, often the client's best interests are served through negotiations with the prosecution to obtain lesser charges or penalties. Our attorneys have the experience and knowledge to effectively persuade prosecutors that charges should be reduced or simply dismissed. 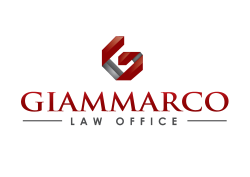 Please contact us today to discuss your criminal matter and your rights pursuant to the law.